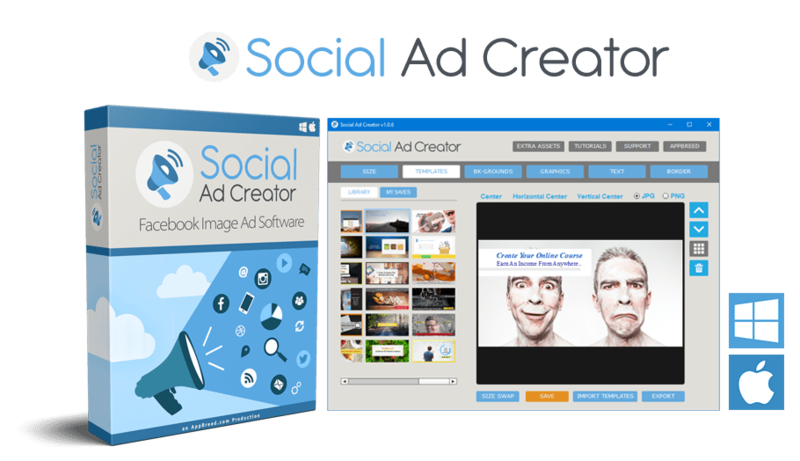 High-Converting Facebook Image Ads in Just Seconds! 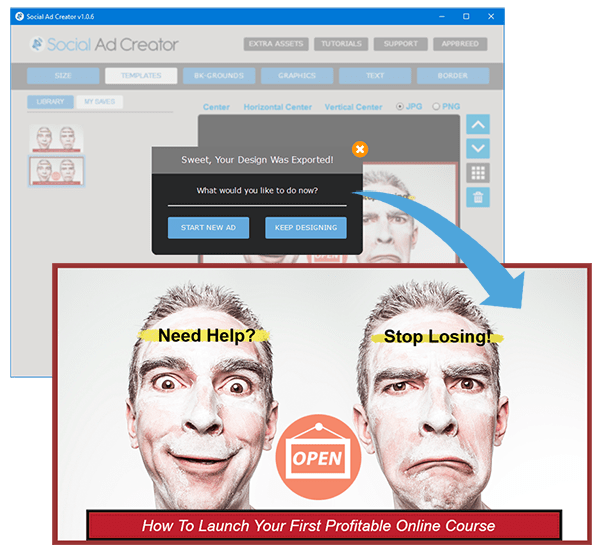 Save your best designs to your own built-in library for easy re-use in future ad campaigns.Step 2 - Choose your "FB Optimized" TemplateScroll through the massive template library for your chosen ad size and select a high-converting template. 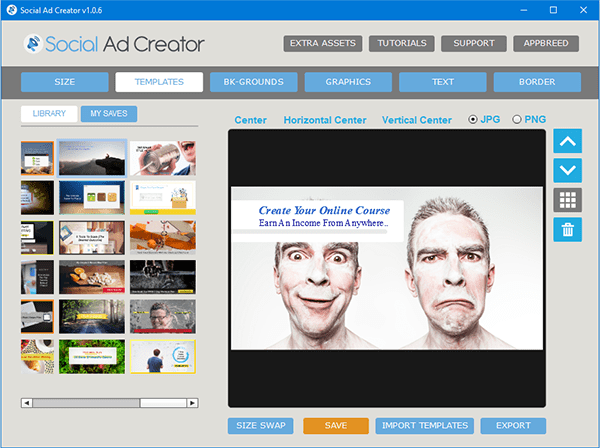 Easily edit any element of any template with an easy-to-use drag and drop editor. 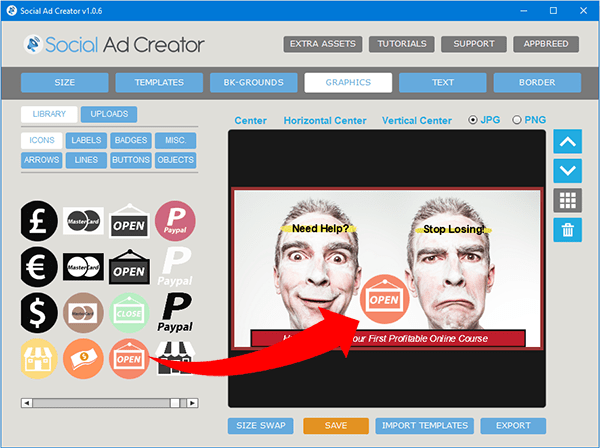 Step 3 - Easily Customize In Seconds!Drop in graphics from the categorized library and edit text as you need! Also get the built-in text space checker to stay below the 20% text and within Facebook's terms & services. 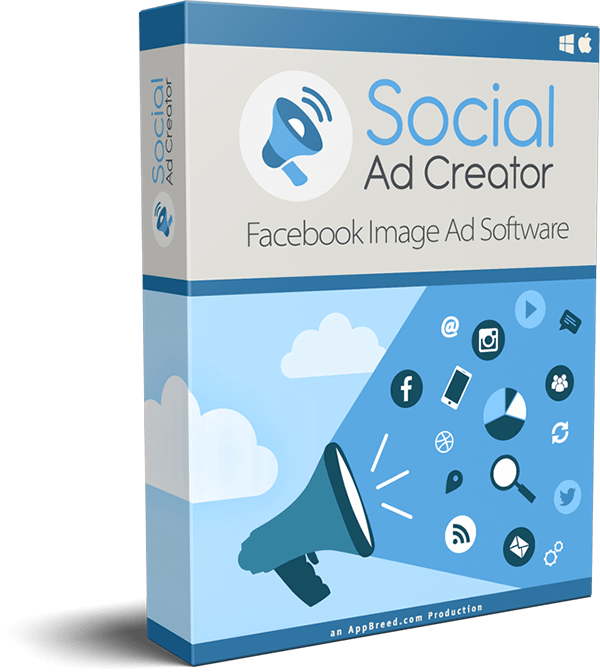 Now you can quickly PUMP out ad variations to optimize your facebook ad campaigns for the highest possible conversions!Your Done - Export Your Facebook Image Ad!When you're happy with your design click export and your ad image is done and ready for your FB campaign! 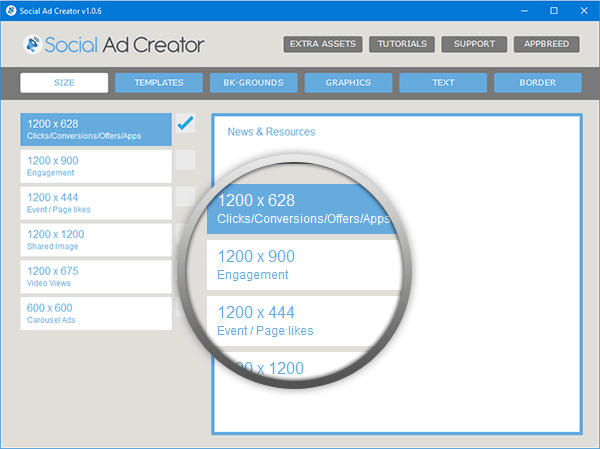 Use the "Size Swap" feature to duplicate your design for other ad sizes helping you create fast split-tests for your fb ads.